Following the success of live video streaming, Facebook is now making it easier for web and iOS users to stream Facebook videos to their television sets via devices like the Apple TV ($149.99 at Best Buy) or the Google Chromecast ($35.00 at Best Buy), with work being done on and Android version. Starting today, users will be able to watch videos from their phones simply tapping the newly added button on the upper-right corner of the respective interfaces. “We’re focused on creating video experiences that people want, and we’ve heard that people want different options for how and where they watch videos that they discover on Facebook,” stated the product director Brent Ayrey in an announcement. Find a video you want to watch on your phone or desktop and press the TV symbol in the top right corner. Select the device you want the video to stream to. Enjoy the video right from your TV. Watching the video wouldn’t stop you from scrolling through your Facebook News Feed due to the native Chromecast and/or Airplay features built into both mobile devices and a few of the browsers available today. You’ll be notified with real-time rejoinders and comments to the video you’re streaming on your very own TV screen. 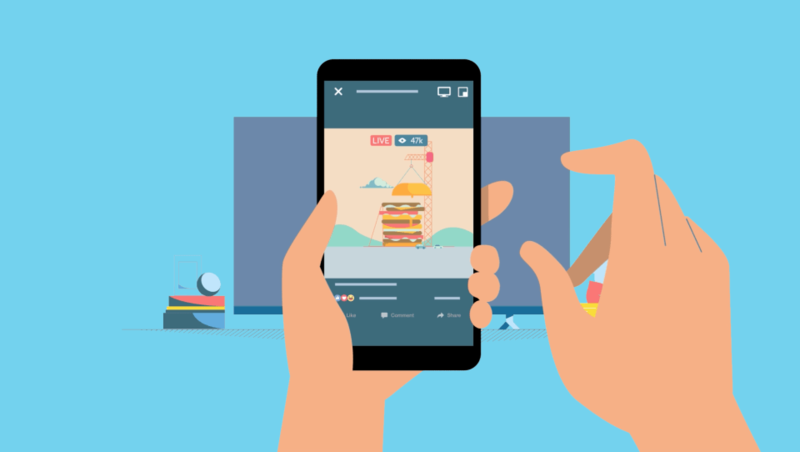 Facebook’s latest endeavor shows its fervor to transform its platform’s News Feed into a place to digest all sorts of videos, whether it be personal videos recorded from friends and family handsets to professionally filmed and edited footage by media agencies. There is no word for the feature’s addition to Xbox, something which might upset gamers who live and breath on their consoles and prefer to stream on their Xbox’s via Windows 10’s native app. Additionally no recent developments of Windows 10’s Facebook app support, but it we expect it to be introduced soon enough just like the Facebook Live feature.